Brie is a soft cow's milk cheese manufactured in France. Originally, it was made in and named after the French region of Brie, which is common day Seine-et-Marne. 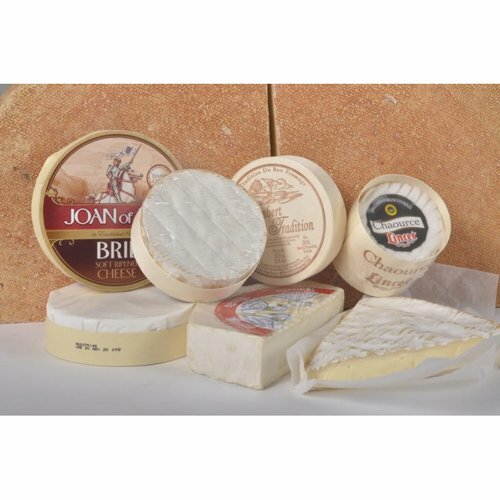 Today, Brie is made all over the world with a variety of different recipes;apped in a white rind. The rind is moldy but edible, and often thought to be the best part of the cheese. Brie is usually only aged for a few weeks, any longer and it becomes Brie Noir, a drier and crumblier cheese. Although Brie is a de light spread on crackers, or on one's fingers, for a presentation that is sure to wow, try wrapping the full wheel in puff pastry and baking until the Brie is melted and the pastry is golden brown and puffed. Cutting into the center will be met with gasping friends and salivating mouths.